Debugging Embedded Microprocessor Systems provides techniques for engineers, technicians, and students who need to correct design faults in embedded systems. Using real-world scenarios, designers can learn practical, time-saving ways to avoid and repair potentially costly problems. Prevention is stressed. In this book, the author addresses hardware and software issues, including up-front design techniques to prevent bugs and contain design creep. Practical advice includes descriptions of common tools which can be used to help identify and repair bugs, as well as test routines. RTOS and embedded PC environments are also covered. 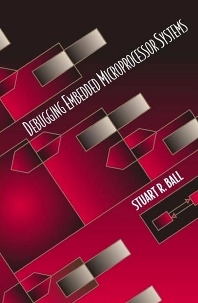 Each chapter of Debugging Embedded Microprocessor Systems opens with an example design problem which illustrates real-world issues such as design changes, time pressures, equipment or component availability, etc. Case studies of past debugging projects are presented in the final chapter. Senior Electrical Engineer who has worked for the past twenty years in the field of embedded control systems. He previously worked on Global Positioning Systems and secure communications equipment at Rockwell International, on document processing equipment at Banctec, and on medical electronics at Organon-Teknika. He has written several books and many articles for periodicals such as Circuit Cellar INK, and Modern Electronics.